The waters of Vanhankaupunginlahti are very turbid due to the clay carried by the river water and the algae growing in the bay, with the river water being a more decisive factor for turbidity than the algae. 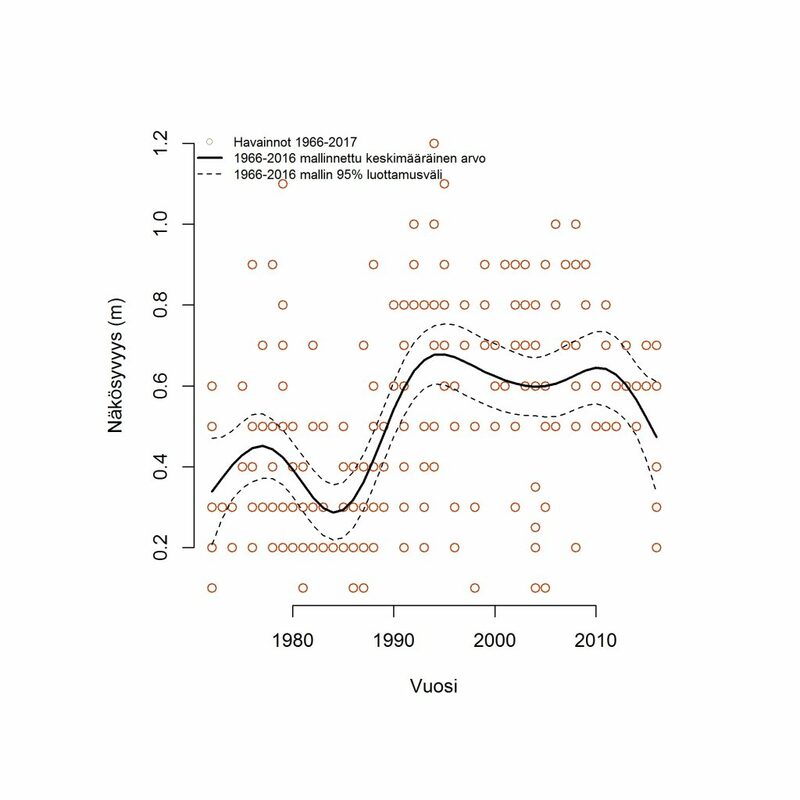 As a result, the bay’s Secchi depth is at its lowest early in the year, when river run-off is typically at its highest. However, the bay’s Secchi depth is rarely higher than one metre. This means that very little sunlight reaches the bay floor. This in turn effectively limits the growth of algae that attach to the bottom of the approximately two-metre deep bay. The waters of the bay have become slightly clearer over the years after the nutrient load resulting from purified wastewater was removed. However, the bay’s Secchi depth remains poor and seems to have started to deteriorate further in recent years.